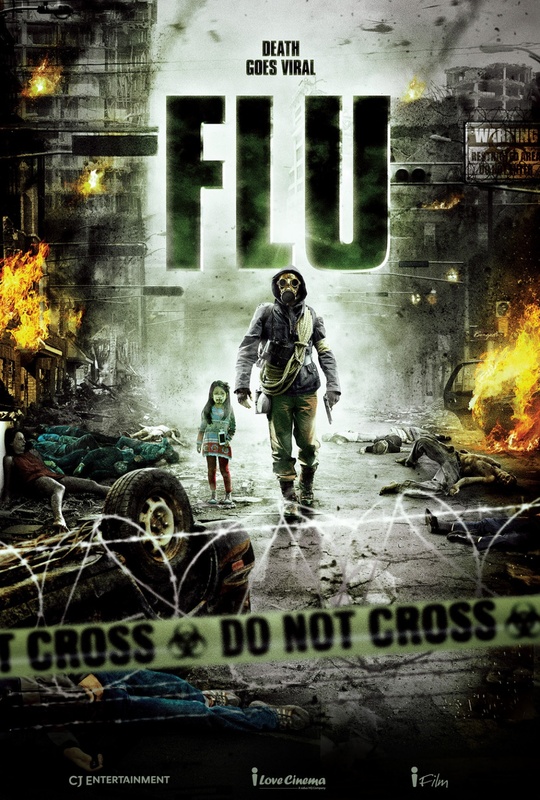 A group of illegal immigrants are smuggled from China to South Korea inside a shipping container, but when it's opened in the affluent Seoul suburb of Bundang by traffickers, it's discovered that all of the immigrants are dead, except for one man, a carrier of a deadly strain of H5N1 (avian influenza, or bird flu). As the man escapes, he quickly spreads the virus to nearby residents. Mir (Park Min-ha), daughter of a single mother Kim In-hae (Soo Ae), meets the man, named Mossai, and gives him some food and tells him to wait as she calls rescue worker and paramedic Kang Ji-goo (Jang Hyuk). However as he arrives, Mossai is nowhere to be found. I was able to watch this movie while travelling, and only because it was the only movie I had in my tablet. However, oh boy I wished I watched it sooner, it was better than I expected. It totally gave me the chills. Somehow, it kept your attention to the very end and had a good story line. When you’re finished with the movie, it still stays with you on your mind, and you start looking at people coughing and wonder if... Just kidding! The acting was top-notch especially Park Min Ha. She may be a child actress but she brought her character to life, I’m seriously amazed by all the child actors in Korea, some of them are better than the adults. One scene with Park Min Ha crying made me cry so hard (watch the movie to find out) that I had to look away from the screen & took a break for a moment to recompose myself. If you like medical, disaster and action type movies then you'll probably like this one. This is another movie I had to watch, because of the references made by Korean tv. Though I never really paid much attention to it, I felt it had been out there and around me for quite a long time, but I didn’t want to watch it, as I am not the biggest fan of overhyped movies. That said, I loved this! I was afraid it would be a wannabe Hollywood epidemic movie, but I LOVED that they kept it (for the most part) Korean. I really have no flaw to mention in this movie, except the fact that the last 8 minutes made me cry so much, I was all swollen, but that is because I was unable to look away from Min Ha’s acting… seriously amazing! I don’t want to spoil anything, so I’ll just end like this: 100% recommendable.